That turned out really well. Good job Jo. I see you are back at the crafting and I know that makes you happy. 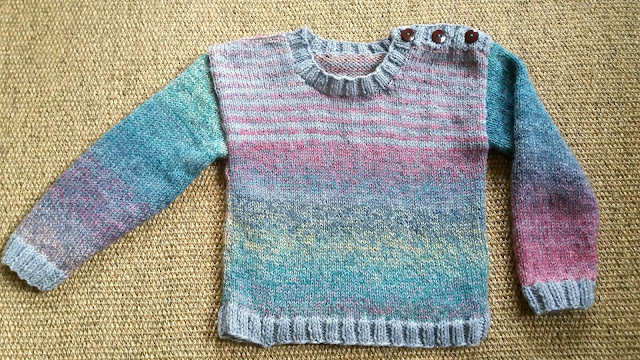 Love this little sweater, such a wonderful project. The yarn looks wonderful. I need to get back to knitting, seems all I can do is crochet shawl after shawl. I like seaming too. There is some miss-information about mattress stitch, and how to do it, which I think leads to confusion. Once you have worked out what it is or isn't and found a good tutorial, and get practising it becomes fun. Sometimes knitting in the round leads to distortion or stripes get jogs in them (something that can be ameliorated somewhat) and the then I think flat knitting is best. Seams also provide support. As you show, they are nigh on invisible when done well and can be fun to do. 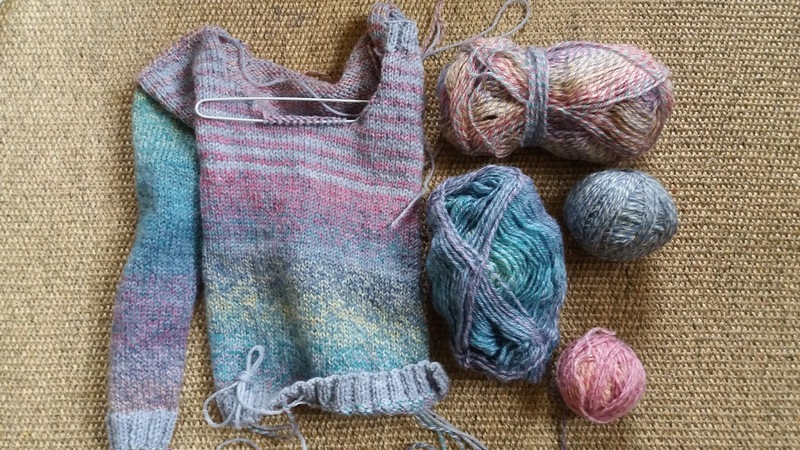 I love the mystery element with your yarn, I don't care if things match up or not, so long as you can tell they are all made from the same stuff. The jumper looks lovely. What an amazing gift! I love the colour. What a great jumper. I love the variety of shades. I can't quite work out want the make of wool is? Is it James Brett? 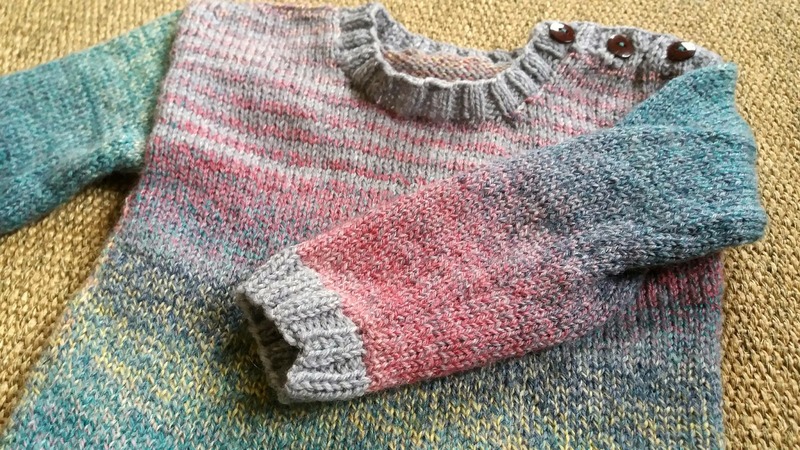 That's beautiful, I usually eek out wool by doing the sleeves in a different colour (kind of like an American sports jacket style) but this is even more lovely. I'm going to find your mattress stitch tutorial right now and pin it as I must confess that sewing up is not my favourite bit at all!